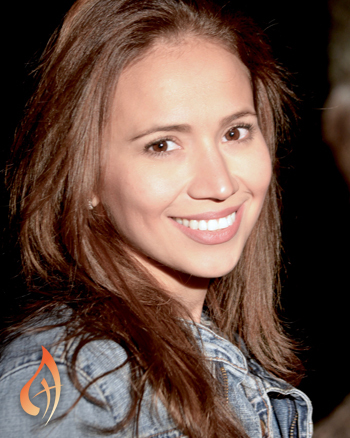 Singer-songwriter, missionary and blessed daughter of God, Azeneth González uses her powerful voice to share God's word with the world. As a full-time missionary, Azeneth spends much of her time traveling and speaking on various spiritual topics, giving workshops, leading retreats and singing at concerts. She especially enjoys working closely with youth and young adults. Enjoy the 10 mariachi songs from Cristo Rey in your house or in your car with this CD. Great for listening or learning, the Misa Santa Teresita del Niño Jesús offers recording of all the songs in this contemporary Spanish Mass setting. Azeneth Gonzalez's powerful vocals beautifully bring each song to life. Listen to 10 Azeneth González's Catholic mariachi songs in this MP3 Album. 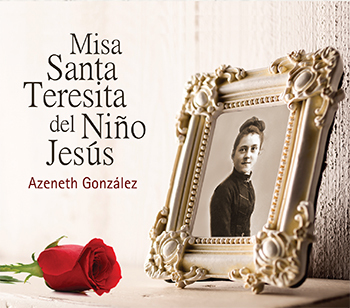 Great for listening or learning, the Misa Santa Teresita del Niño Jesús MP3 album offers recording of all the songs in this contemporary Spanish Mass setting. Azeneth Gonzalez's powerful vocals beautifully bring each song to life. Nowadays it seems we are blessed by a plenitude of singers with beautiful voices. Much more rare are singers that reach inside your very being with the power and purpose of their voices, leaving you feeling touched by something truly holy. Azeneth González is just such a singer. Armed with her powerful, raw voice and her trusty acoustic guitar, this singer-songwriter seeks to awaken in the hearts of others the desire to serve God. Having sung since she was a little girl, Azeneth went on to study voice at the Escuela Superior de Música y Danza in Monterrey, México. She rose to fame at 21 years of age as a finalist in a popular singing contest in Mexico called "La Academia" (think American Idol). It was during her time in the competition and in the proceeding months that she came to realize that it wasn't traditional success at all that she was searching for. It was God. And so began her journey of discovering the person she was meant to be and, thus, God's calling for her life—to serve the one true God and to live as a full-time missionary. Since then, Azeneth has shared her testimony all over the world, hoping to help everyone—but especially young people—discover the love and mercy that are found in Christ. Music continues to be essential to her mission of evangelization. Her talent and devotion are evident in her first OCP collection, the Mass setting Misa Santa Teresita del Niño Jesús. She teamed up with Juan Delgado to create new versions of two favorite songs that are included in the new collection Entre Tus Manos. 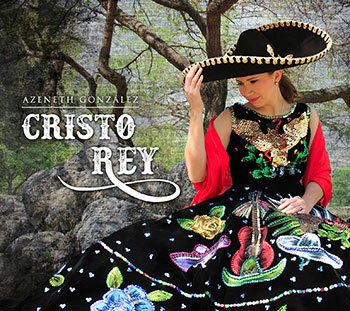 Her collection Cristo Rey features Mariachi arrangements to beloved popular songs, as well as own compositions. Currently Azeneth lives in Monterrey, Nuevo León, México, where she sings twice a month at Holy Hour at St. John the Baptist Parish and leads spiritual exercises for young people. She also spends much of her time traveling and speaking on various spiritual topics, giving workshops, leading retreats and singing at concerts. Azeneth also participated in World Youth Day 2019, in Panama City, Panama.